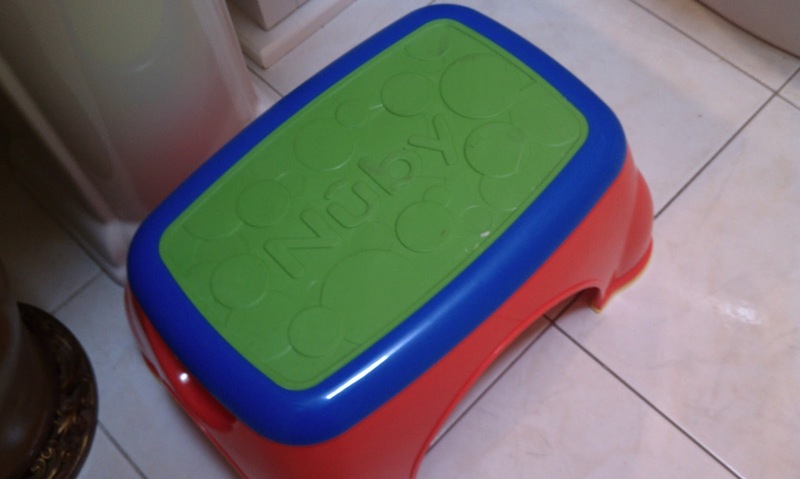 LOVE LOVE LOVE the Nuby Step-Up Stool. As a Nuby blogger, I received one to review. 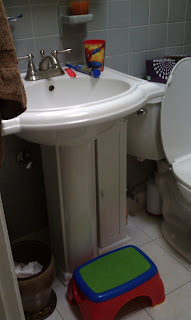 We don't have much space at the sink, so little guy stores his stuff and uses the stool while he needs it. This was right after he brushed teeth and got ready in the morning. What you can't see is the yellow no skid patches on the bottom! Gotta love how colorful (and gender neutral) the Nuby Step-Up Stools are! If you are looking for cool, fashionable, and functional shorts for your Tween this summer, look no further than Zupers! 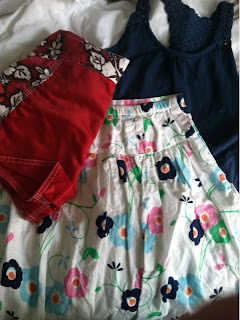 We received a pair of Zupers shorts to review here on MamaBreak, and we LOVED them as much as the pants we previously reviewed! 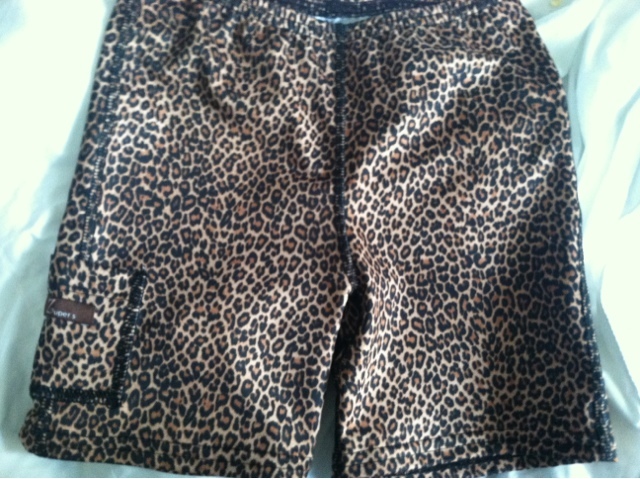 My daughter chose these cheetah print shorts. 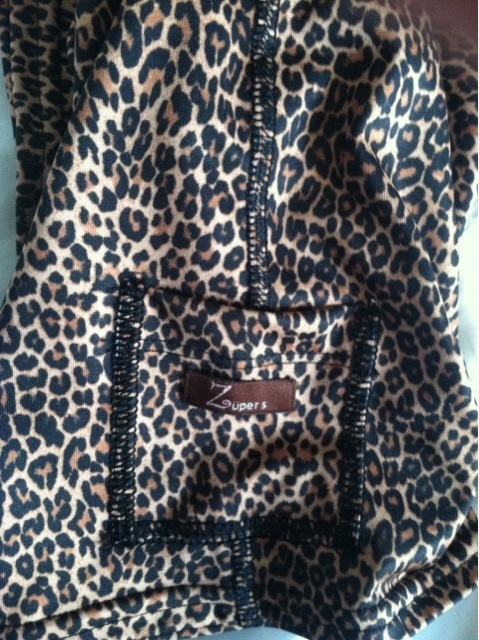 She loves cheetah print, and has VERY particular taste! She loves her Zupers shorts. We find they work well for school and for sports as well. They do not hang, and are somewhat tights (but not in an uncomfortable way). They are the perfect short for an active young girl! My daughter loves this little side pocket. She keeps small amounts of money in it, and it even fits her cell phone. She loves how comfortable they are, and her friends love them as well. She loves wearing them around the house, and to school and sports as well! 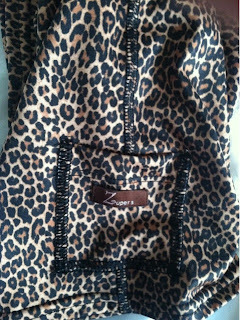 In sizes from 6 months to 14 years, Zupers has something for almost every girl! Want to win your own pair? Enter below! Like the page, and then share the status! Make sure you like the page to get your free sample!!! We love trying out new soaps! We think that quality soaps are one of the best ways to treat ourselves as Mamas! 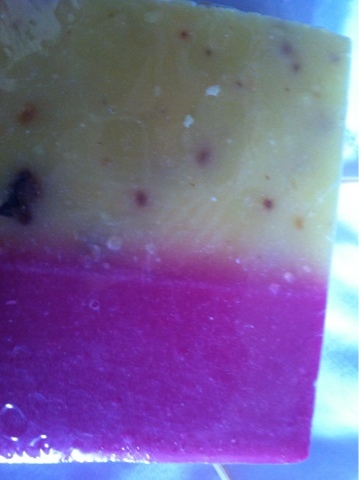 We are always looking for great smelling and amazing to use soaps! We recently had the opportunity to review YesterYear Soaps, and we LOVED the smell and quality! This amazing gift set would be so perfect for any occasion, but we love it as a Mother's Day gift, especially! We know we would love receiving it, and we think it is packaged perfectly for any mom! Our favorite soap was the Honeysuckle. The smell was amazing, and we loved the bright, vibrant colors! The soaps are all hand-crafter and natural, and they suds enough to really enjoy the soap. The scent lasted almost the entire day, which we loved! 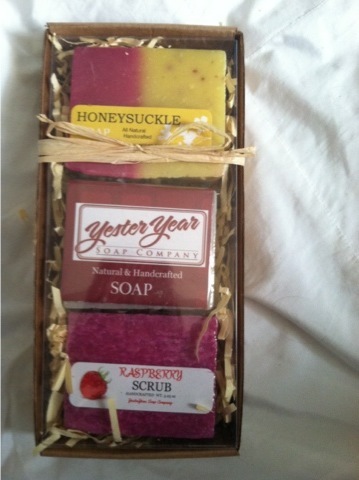 Want to win your own giftset of 3 soaps (fragrances may differ)? Enter below! The link below is an affiliate link and MamaBreak may received compensation for its use. We love giving unique gifts, and cannot wait to see our daughter's face when she finds this unique nightlight in her Easter Basket. 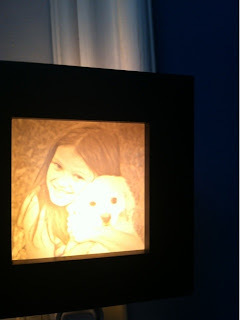 We review Light Affection, and just fell in love with the nightlight. It looks rather odd when you look at it straight on, but as you can see above, the effect is beautiful. We love how crisp and clear the image is. You can also twist the end so that it can plug in in a socket that is traditionally set, or one that is on its side. All you do is send them your image, and they make you your very own nightlight! What a wonderful way to tell someone you love them! Want to win one of your own? We can arrange that! Enter below! The Magic School Bus is Kickin' Up a Storm at The Magic House! Our kiddo LOVES the Magic House. It has great areas for kids of ALL ages (ahem,...aka:Hubby!) We love how much learning, exploring and creativity our guy uses when he visits. We often have a membership so we can enter in the "quick door" and don't have to wait in line. A super fun new event is going on NOW through May 27th! You don't want to miss it. 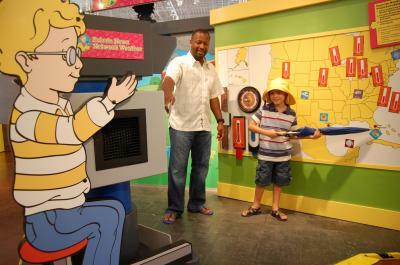 The Magic House is offering an exclusive coupon - Buy one, get one 50% off - so be sure to print your coupons prior to visiting! 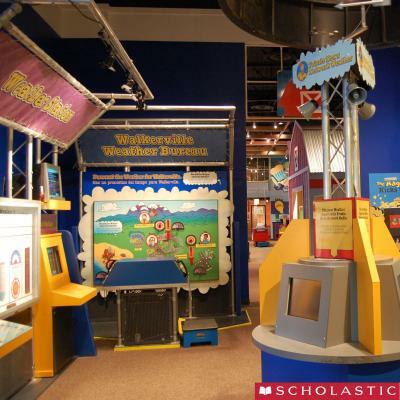 The forecast calls for rain, snow, sleet, sunshine and every type of weather imaginable when The Magic School BusTMKicks Up a Storm exhibit makes a stop at The Magic House. Museum visitors can hop aboard The Magic School Bus which has been magically transformed into a "flying" Weather Observatory and join Ms. Frizzle and her class on an adventure in weather. Kids can experience a whirlwind of weather related activities as they measure lightning distances and discover what causes those brilliant flashes, experience extreme weather, create their own unique snowflakes using ice crystals. Visitors are also invited to breeze into Ms. Frizzle's Classroom and checkout a flurry of fun hands-on science projects such as Ralphie's Hot Air Balloon Race, Carlos' Air Blasters and Wanda's Water Cycle Wheel. The Magic School BusTM Kicks Up a Storm exhibit also includes a field trip with Ms. Frizzle's class to the Walkerville Weather Center where museum visitors have the opportunity to go "on-location" as a reporter dressed for the weather, get the inside scoop on weather terms and vocabulary, see footage of tornados and other cool video clips and much more. Taking our expanded family of four out to dinner isn't easy, BUT HomeTown Buffet really made it easy. My preschooler isn't a picky eater, he just LOVES to eat! Having a buffet to choose from is AWESOME and he loved all the options. We went on Family night and enjoyed a busy restaurant, but we ate quickly and could leave when we had any type of meltdowns. Little man loved the desserts and I loved the sweet, friendly and kind people who worked there. See, my guy LOVES to talk--so the table cleaners, buffet cooks/replenishers and cashiers all interacted with him--even though he is THREE! Hubby was able to have some chicken, I had beef and kiddo had....ANYTHING he wanted. He loved the mashed potatoes, drink options and dessert. Family Nights are Thursdays from 5-8pm and kids 11 and under eat for $0.99! My guy LOVED the Clifford themed activities! This would be a GREAT place to go on Easter! With a new baby, cooking a big Easter dinner just isn't appealing right now. Hope you checkout all the buffets across the US: Old Country, Ryan's, Hometown Buffet, Fire Mountain and Country Buffet! If you can't make it for Easter, then go for Mother's Day! Checkout their excitement for MOther's Day! Chefs at Ryan’s, HomeTown Buffet and Old Country Buffet have crafted specialized Mother’s Day Breakfast and Dinner menus to be served on that special day in May honoring the queen of the lives. Visit the Buffets, Inc. restaurants on Sunday, May 12, 2013 to enjoy a breakfast menu riddled with juicy steaks, carved ham, and sizzling eggs cooked to order and a dinner menu featuring succulent steaks, butterfly shrimp, and peel ‘n eat shrimp. In addition, throughout the month of May, kids everywhere are invited to the restaurants to construct and draw a blooming bouquet of pop-up flowers for Mom. 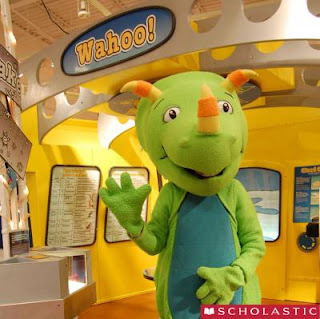 To keep kids entertained, they are also offering a series of travel-themed activity sheets featuring travel games, geography activities, passports, and more! As you know, we are always looking for ways to be greener. We love the Green Cleaning Coach, because they teach you HOW to transform what you do every day into greener practices! 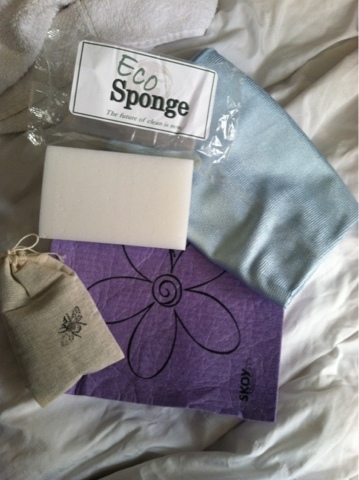 We were able to review a "mini sample" of their Green Cleaning Coach package, and we loved everything! A Skoy cloth. We love Skoy Cloth, and previously reviewed them HERE. Our other Skoy cloths are holding up well, but you can never have too many. We also received a blue cloth for dusting and polishing. We use this most to clean our mirror. It requires no cleaning products at all, just the cloth. 2 Just Bee Products. One was this adorable laundry bag to throw into the dryer to freshen your laundry. We also received a pdf of The Green Cleaning Coach book which was filled with tons of tips and suggestions for greener cleaning. 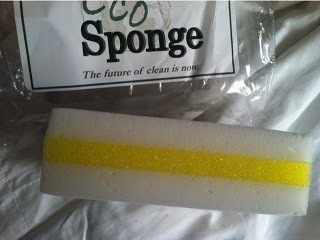 We loved this eco-sponge. It was similar to another white sponge, and worked wonderfully on removing marker and crayons on our walls! As many of you know, we are STILL having very cold weather (you know, because I have not mentioned it enough!). We still have well over a few feet of snow, and it is FREEZING! My daughter's little hands get incredibly chapped, and we loved this Just Bee Hand Balm sample. It took care of those rough patched, and was nice and thick without being too greasy. MamaBreak received this mini sampler to review here on MamaBreak. We did not receive any other type of compensation. As always, our opinions and experiences are our own. Want to win your own The Green Cleaning Coach Sampler? You will receive similar items as seen above (the Just Bee items may differ). Enter below! Mamas-- we LOVE buying our kids used, wonderful quality clothing. 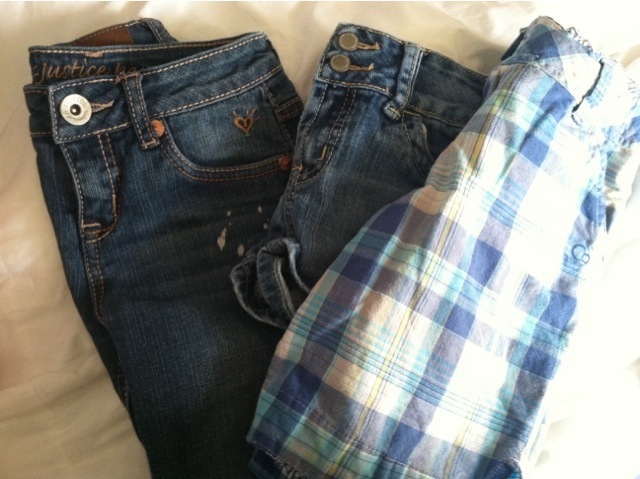 I am very fortunate that if needed, I COULD purchase all brand new clothing for my children. The problem is, it just kills me when they wear their brand new outfit that I spent nearly $100 on, and it is ruined within second. Let's admit it, Mamas, kids are HARD on their clothes. And the outfit you spent the most on? Inevitably, that WILL be the one ruined the first time they wear it. We are always looking for new places to purchase clothing. We live in a limited area, and we do not have a ton of access to re-sell types of stores. The closest it over an hour away, and that is a DRIVE just to possibly find a good deal on clothes. We are so excited to bring to you My Little Clothesline. We were able to review them and we spent $30. We feel like we bought a TON with our $30!!!! We bought 2 pairs of shorts for my son. The ones on the left were $3.40. The ones on the right were $3.00. Both were in like new condition. 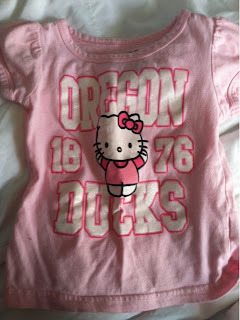 We also got this cute "Hello Kitty" shirt for my toddler. It was only $2.50 and was in like new condition! We also got these 3 pairs of shorts for my 10 year old. We loved the variety of clothing available for older kids! 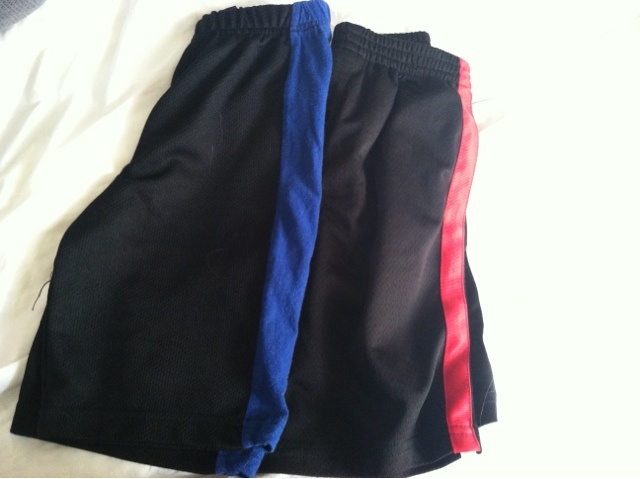 The shorts on the left were from Justice and were $5.10, the little were Limited Too and were $5.10, and the ones on the left were OP and were $4.00. They were all in amazing condition! 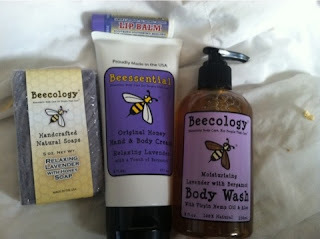 Last, but not least, we decided to try out one of their Bargain boxes. You pay $5.00 for the box, and you get 3-5 items in your box that are in "play quality" condition. We LOVE what we got! 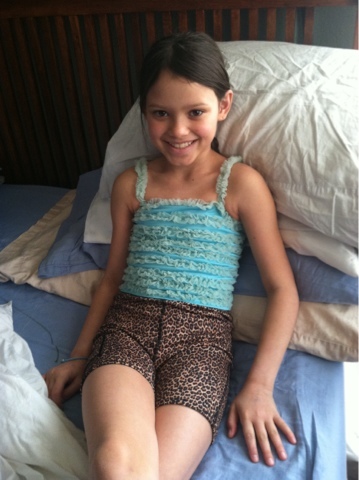 We chose a Summer Girl size 10 box, and got this beautiful skirt, matching tank, and cool shorts! All were in great condition! If you are looking for great quality and amazingly low prices, than My Little Clothes Line is the site you are looking for! Everything is sent form them so is clean and fresh, and has photos of everything you are purchasing! MamaBreak received a credit to use at MyLittleClothesline. We did not receive any other type of compensation. As always, our experiences and opinions are our own. 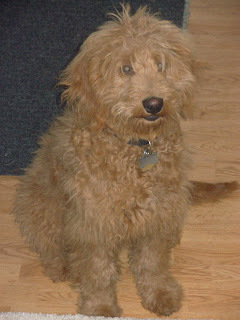 Our dog without a hair trim . . . Does brushing time at your house cause tears? Mine too! 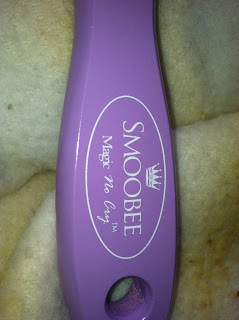 We love trying out new hairbrushes, and were excited to review a hairbrush for Smoobee, Magic No Cry. We really like the bright color it came in. My tween automatically claimed the brush as "hers" because she loved the light purple color. 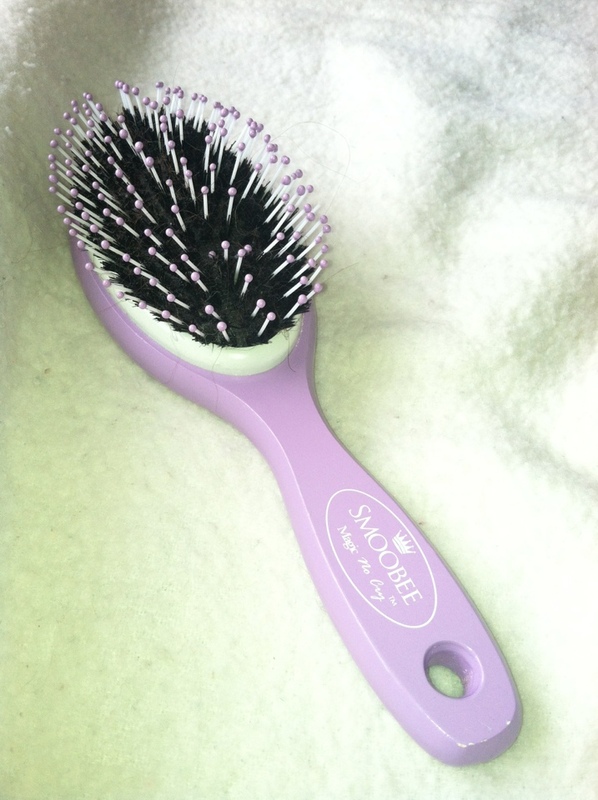 The brush features both long and short bristles, which is great for both long and short hair. It is also made of a sturdy wood, so it makes it easy to use and lasts long. 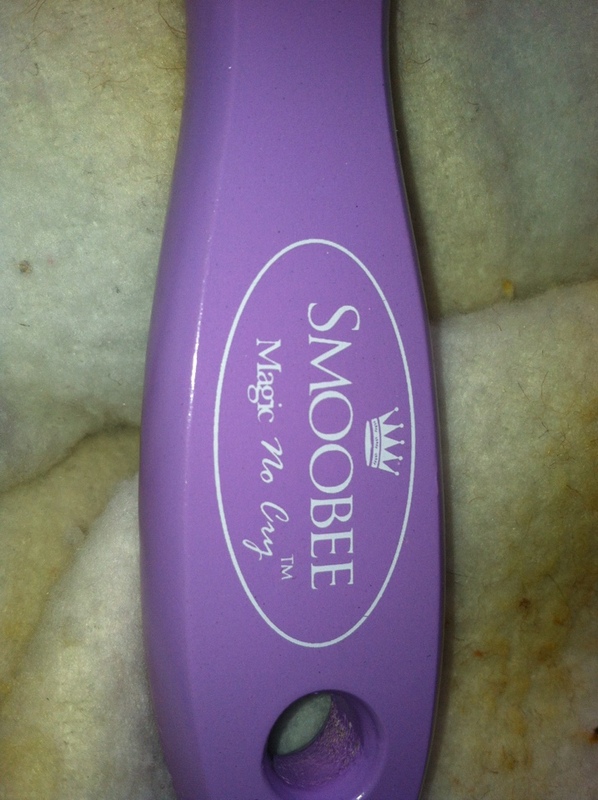 MamaBreak received a Smoobee brush to review here on MamaBreak. We did not receive any other type of compensation. As always, our opinions and experiences are our own. Want to win your own Smoobee? We thought you would! Enter below! Mamas-- as you know, I am on a weight loss journey to start very soon. Since having my three children, I have gained over 100 pounds, and I need it to be gone. I want to lose the weight so that I am healthier and happier. I believe that women DO come in all shapes and sizes, and support any woman no matter her size or weight. I just know I would be happier and healthier without the added weight. I also need more energy to chase around all of my children! My 2 year old is FAST! I chose the African Mango 1200 because I wanted to choose something that was fairly low risk in terms of side effects, but also something that others have had a lot of success with. Dr. Oz talks about African Mango, which added to my confidence in it. I also did some research about it and although there is not a ton of unbiased scientific research on the effect of it, it does seem to be low-risk, with possibly HUGE benefits! for more details on how you can get involved too! 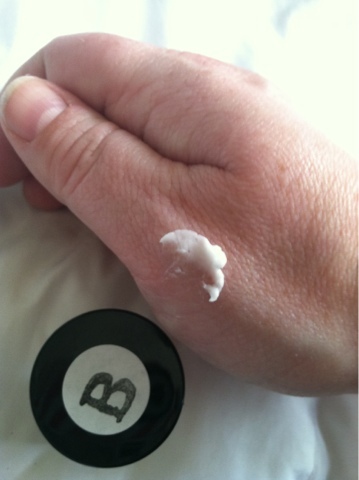 Nicole Made This is a wonderful site with soaps, soaks, and lotions, all handmade! Nicole even adds that it is all made in her grandmother's mixing bowl! We have fond memories or our grandmother's mixing bowl, and all of the fun things we made, so we knew we had to try it out. I think you mamas knew which I needed to try first!!! 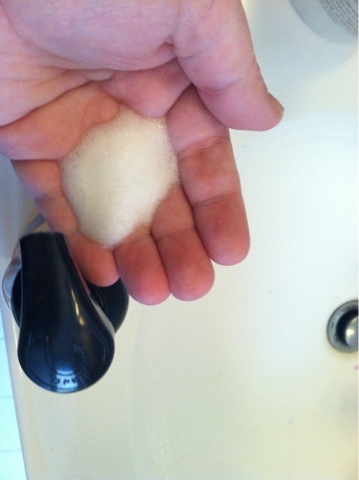 If you think that a all-natural soap cannot foam, you are wrong! Look at the amazing foam we got from our soap. We are using it as our hand soap right now, but we plan to use it for body soap because we love the Belini W/ Brunch so much! It is a light, fruity scent PERFECT for Spring! 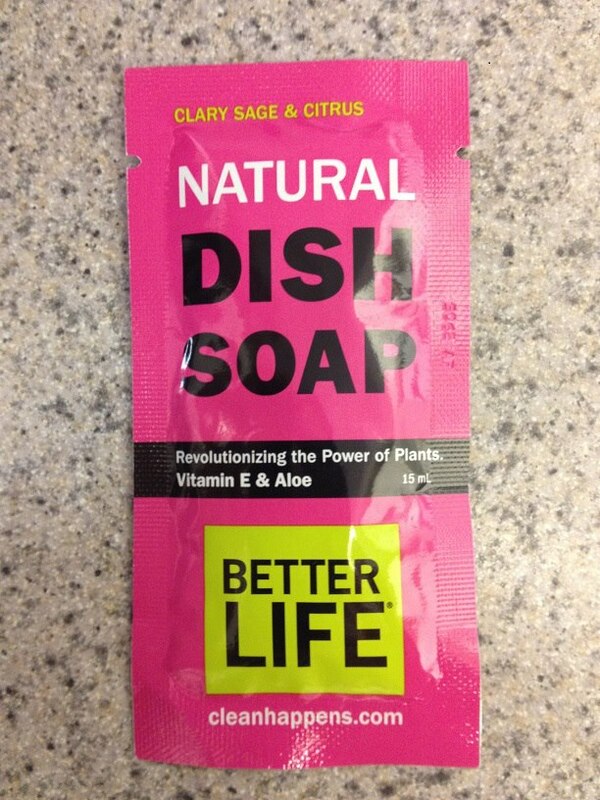 The soap is 100% natural as well as paraben-free and sulfate-free! 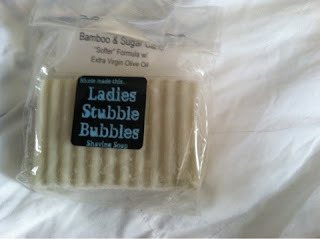 We also love Nicole Made This Ladies Stubble Bubble. This great shaving soap will keep your razor free of soap suds, and your legs free of knicks! We used it and love it. We love the way it is packaged and think it would be PERFECT in a Bridal Shower Basket! MamaBreak received the above items to review on the website. We did not receive any other type of compensation. As always, our opinions and experiences are our own. 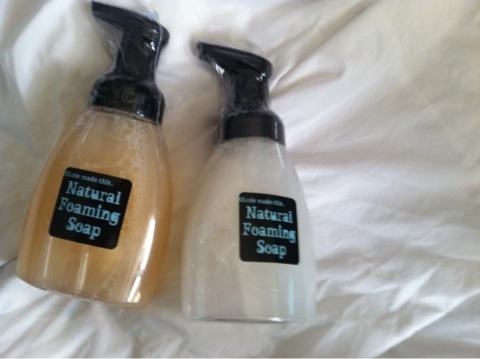 Want to win a Natural Foaming Soap of your own? We know you do!!! Enter below! It is Spring time Mamas, and even though our weather is not warming up, I am READY for the bright colors! I am LOVING Mally's new Spring colors! I received these AMAZOIS (as the Mallynistas put it) eyeshadow duos, and I do not think anything says Spring quite like these colors. 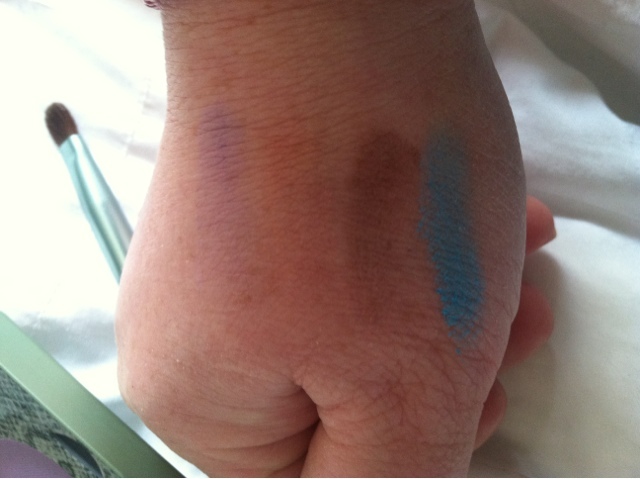 The left palette is called, "Earth" an includes Sky and Earth (I am LOVING that bright blue). The right palette is called "Sunset" and includes Pink Horizon and Purple Haze! And in case you are afraid of such bright colors, look at how smooth they go on! I cannot imagine more lush colors. Above are (from left to right) Purple Haze, Pink Horizon, Earth, and then Sky. 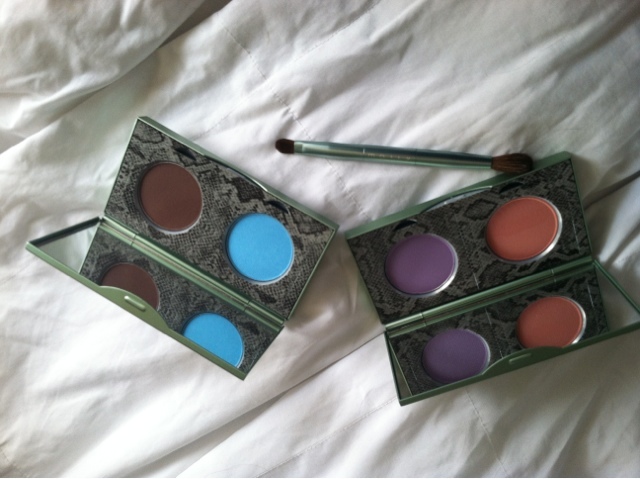 MamaBreak received these palettes to review here on MamaBreak. We did not receive any other type of compensation for our review. As always, our opinions and experiences are our own. Check it out! 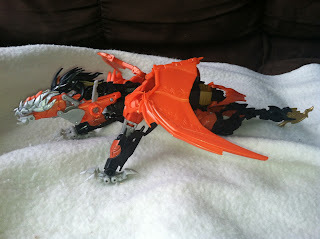 You get this FREE with each and every order from the MailPix.com site! 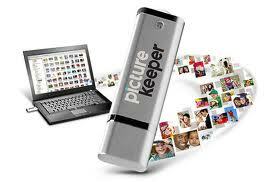 I KNOW I loved to backup photos, so this really fit with my personality! Keep them backed up and SAFE! The picture keeper was SUPER easy to use (I have a Mac) and I was able to backup some of my favorite shots of the kiddos. I keep it in a drawer nearby and I can even share the photos with family! 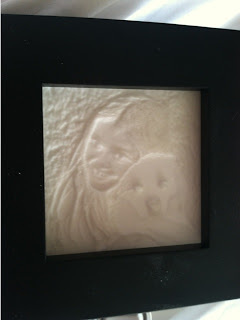 We love all the great things going on at MailPix.com They have THIS free gift with purchase and lots of great options for photos. If you need some quality prints, get them ordered at Mailpix and receive a picture keeper free! Ok, I saw this and HAD to share with you, Mamas!!! 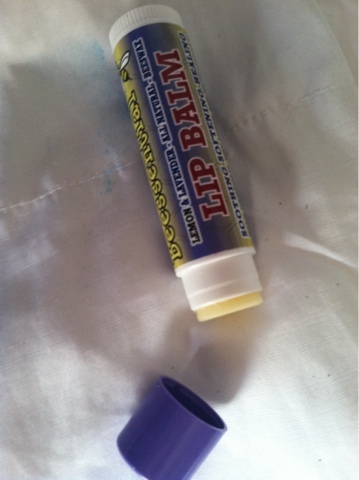 I am using food coloring, as I am NOT going to trust egg dye to eat! Still VERY COOL!!!! 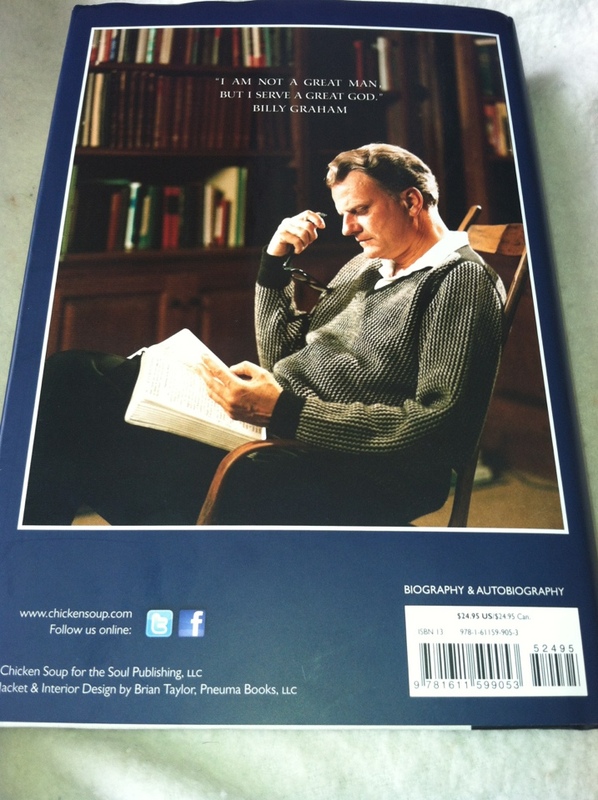 We love Chicken Soup for the Soul, and this book about Billy Graham is inspiring and uplifting. 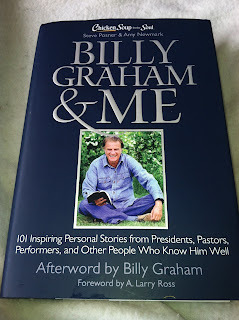 As a Chicken Soup for the Soul Blogger, we received this amazing new book to review and just love it! Billy Graham is well know as being an evangelist in the United States. This book highlights him from those that knew him. With stories from leaders such as Tony Blair and Bill Clinton, and celebrities such as Johnny Cash and Kathy Ireland, this book remembers a great man who changed the landscape of Christianity in America. Whether you love Billy Graham or not, I think you will find inspiration from the book based on his works and words, and the telling of them from people that knew him. Want to win your OWN copy of the book? Mamas-- you KNOW I have an insane love for cosmetics, and I love trying out different looks! 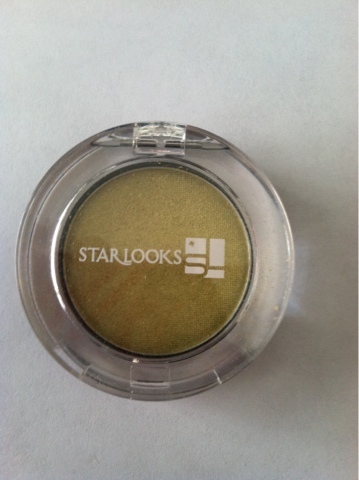 I am loving the Starlooks Eyeshadows too! Do you remember the gold eyeliner, that we talked about in a past Starbox HERE? We even recorded a YouTube video! 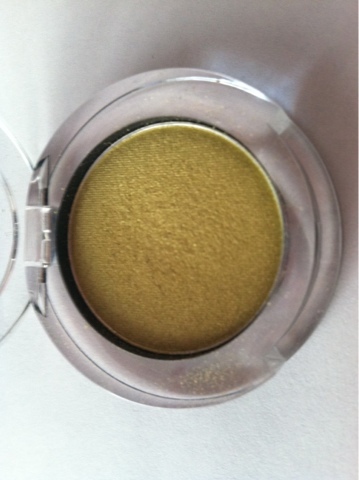 We LOVE the eyeliner, and were so excited to review this amazing new gold eyeshadow as well! The color is called, "Show Stopper Green", but do not let the name scare you! Check our that amazing gold color! It is so shiny and sparkly. You can see that it has a slight green-ish undertone, and I love how it makes the green in my eyes pop without being overbearing. This swatch shows just how very light ti does go on. 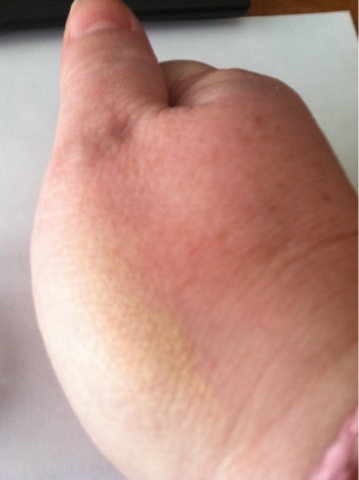 This is not an "in your face" kind of shadow if you use it sparingly, but a bit of a surprise for your eyes! MamaBreak was received this item to review here on the website. We did not receive any other type of compensation. As always, our opinions and experiences are our own. We love Bugalug for their non-slip clips! 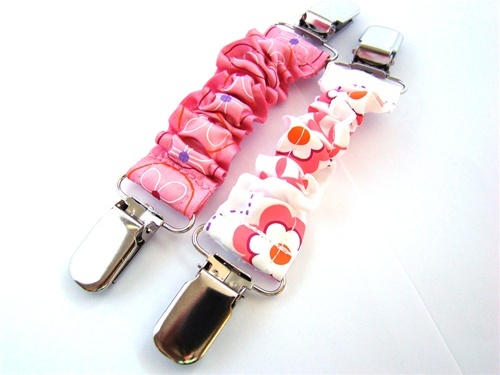 They are the only clips that will stay in my daughter's hair, we have just a TON of them! Here are some retired patterns. We have so many, and love them all! Most people know about Bugalugs no-slip clips! In fact they are the #1 Canadian sellers! 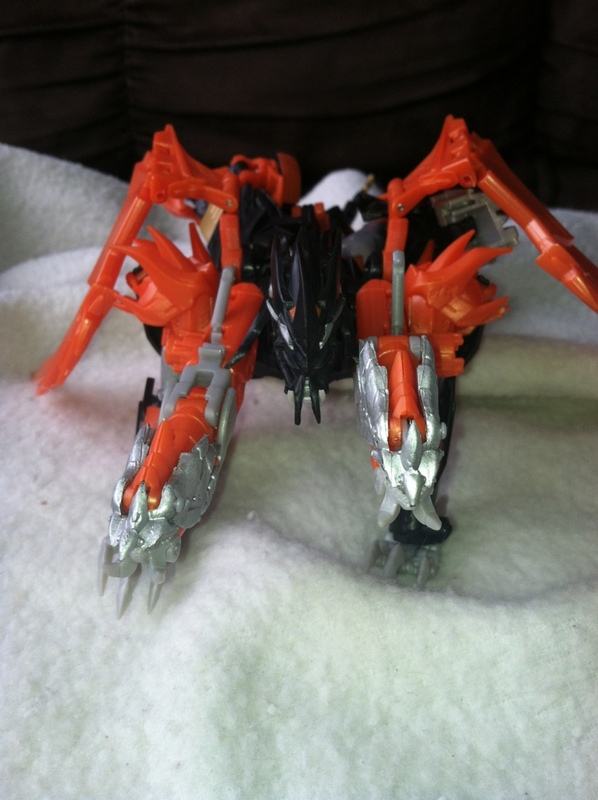 Did you know that Bugalug has a TON of other items? We were so excited to try out the Cinch clips! How cool are these! They have clips on each end, so they can be used for so many different things. They can be used to make pants smaller. We used ours the most for mitten clips! They come in a variety of colors and styles and are only $15.00. We also used them to attach to a blanket when we were out an about. We just clipped one end the blanket an the other end to a part of the stroller! 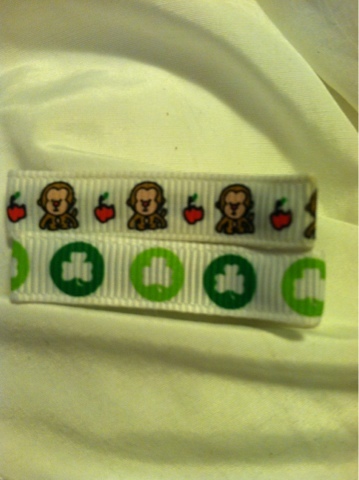 MamaBreak received Cinch Clips to review here on the website. We did not receive any other type of compensation. As always, our opinions and experiences are our own. Mamas-- Spring is here, and we want to make sure we are feeling super to enjoy the weather! 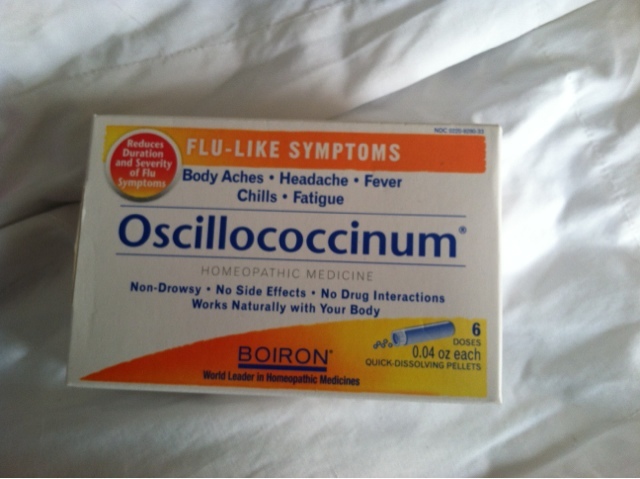 My kids always catch a cold or flu right at the turn of the season, so we stock up on Oscillococcinum. I was so glad to review this product, because it really did save me from getting ill. As a member of http://www.naturallysavvy.com/ I was sent this product and I love it! I work in a college setting, and have used it, and did not catch the full-blown flu that many other people reported! It comes in 6 of these convenient capsules, which makes it super easy to take! 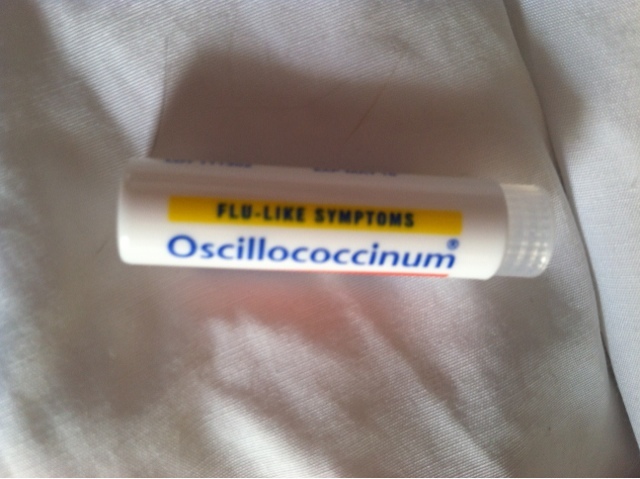 If you start feeling a cold or flu, I would highly recommend it! MamaBreak received this product to review here on the website. We did not receive any other type of compensation. As always, our experiences and opinions are our own.